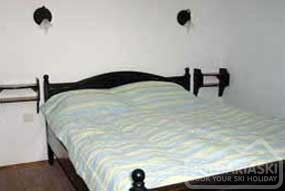 All rooms/apartment have private bathroom/ shower and WC, TV, direct dial telephone, fridge and mini-bar. 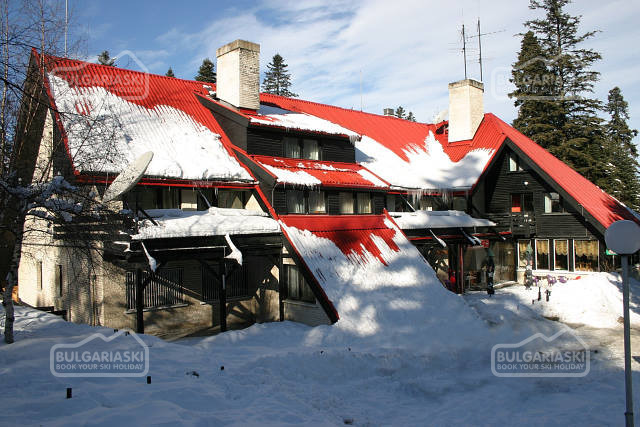 In the hotel there is a vinery/tavern at two levels and 90 seats, designed and serviced in the best traditions of Bansko. 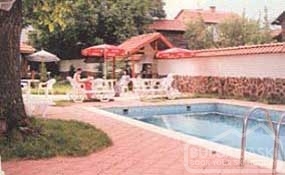 Also available is a lobby bar with 20 seats, romantic summer garden with 30 seats. Karol hotel also offers sauna (3 $ per person), fitness room, outdoor swimming pool with a cocktail bar, secure parking lot and hotel bus for transfers to/from the ski pistes (3 $ per person return). During the summer the hotel organizes trips to the Rila monastery, Melnik, Leshten and Kovachevitsa, and the Ognyanovo Mineral baths. Also, trekking tours in Pirin mountain, horse riding, and visits to museums and historic monuments. I stayed at this hotel a year and a half ago. We were nearly the only family staying there and i definitely did'nt like the conditions. first, the room wasn't well cleaned. second, no transport to the slopes was available to us, although the bus was parked in front of the hotel. finally, the people were very impolite. so, think a bit before deciding to go there. 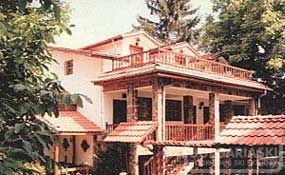 Please, post a comment on Karol hotel in Bansko (Bulgaria).